Yoga with May Every Tuesday 7:00pm to 8:00pm. Me and My Friend - Act One: A black comedy, the play explores the relationships between an "odd" couple thrown prematurely out of hospital care. We see two men conduct fantasy interviews for jobs they will never get. Me and My Friend - Act Two: A black comedy, the play explores the relationships between an "odd" couple thrown prematurely out of hospital care. We see two women trying to "make plans" as urged to do by the hospital. Menu: Mains: Roasted Lamb with Seasonal Vegetables or Roasted Vegetable Lasagne (V/VG). Desserts: Seasonal Cheesecake or Stoke’s Fruit Salad (V/VG). Tea or coffee to finish. The Asylum Players presents: The Importance of Being Earnest by Oscar Wilde. A Trivial Comedy for Serious People. Oscar Wilde’s renowned, timeless comedy follows Jack Worthing and Algernon Moncrieffe as they attempt to win the hearts of the worldly Gwendolen Fairfax and the romantically inclined Cecily Cardew. Unfortunately neither of them are named Earnest and one of them was found in a handbag. Part of The Asylum Players 2019 Season ticket. The Asylum Players presents: The Crucible by Arthur Miller. Witch Hunts and Fake News, ring any bells? Arthur Miller’s classic story of the power of mob rule and false belief. Set in Salem 1692, we watch the tragedy of the Witch Hunts that devastated the community and took the lives of many innocent people. Written by Miller, in response to the insanity of 1950s McCarthyism, this is a story that becomes alarmingly more relevant with every passing day and every badly spelt Tweet. Pre-show dining option available from a set menu from 6.30pm, booking is essential. The Blue Room is a beautiful, newly refurbished, multi purpose community venue in the heart of uphill Lincoln. Artistic Performance Space: The Blue Room provides a mid-range (100-150 seated) capacity, flexible artistic space for amateur and professional groups and individuals. 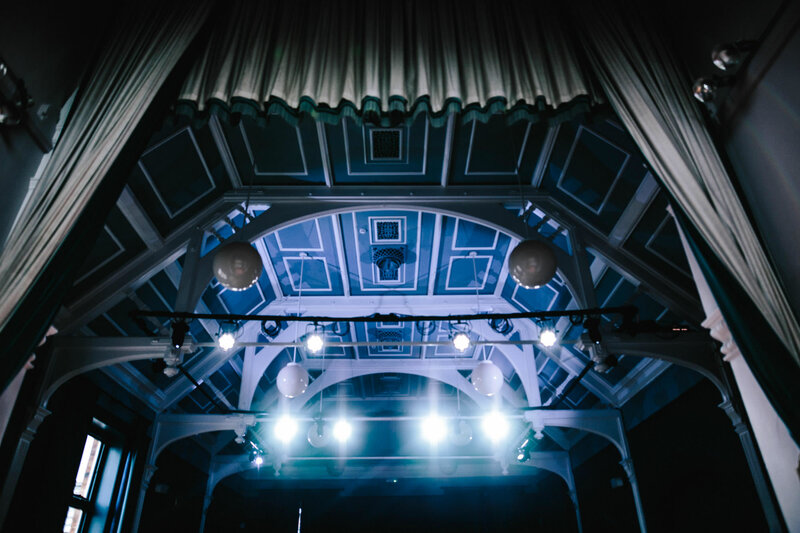 Through what we hope is an affordable hiring policy we aim to offer local performers and performing companies a new opportunity to present their work and build their audience numbers in a beautiful and unusual space and hopefully minimise their potential financial risk at the same time. Rehearsal Space: The Blue Room is available to hire as an affordable rehearsal space for artistic groups. 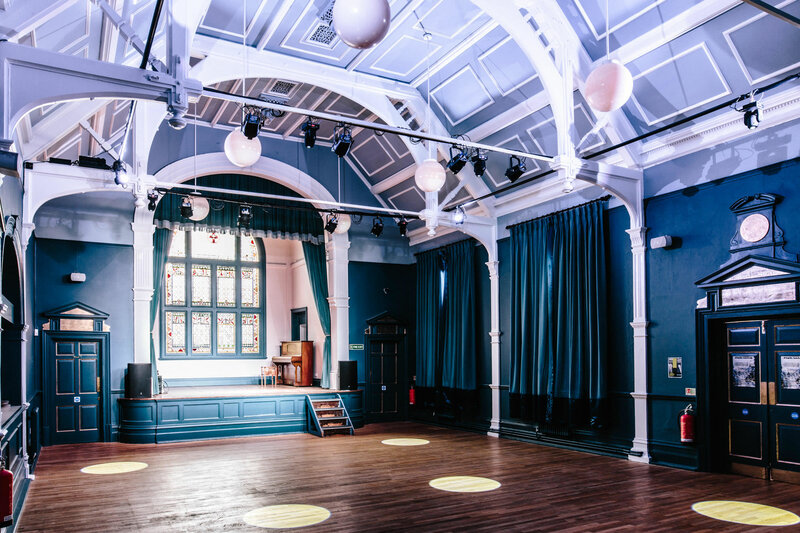 Function Space: The Blue Room has been designed to have multiple uses, from a small theatre to a dinner dance venue, from a recital hall to a cinema, from an unusual conference setting to a stunning wedding venue, with catering & refreshments all provided in house from Stokes of Lincoln. Management: The Blue Room is owned and run by Stokes of Lincoln as part of the Lawn complex with support from Stephen Gillard (Venue Producer). WHAT DOES THE BLUE ROOM OFFER? Flexibility: If you have an idea, come and talk to us. Using an adaptable lighting and staging system, The Blue Room will let you field productions and events the way you want. An in-room bar and an on-site cafe/restaurant allow for an even greater variety of events to be booked and staged. Technical: A bank of local freelance technicians, trained on the venue’s system, are available to hire for your event. This allows flexibility and security for hirers. We also offer training days on the venue's systems for interested freelancers. Marketing: The Blue Room has a dedicated but simple website with up-to-date venue information, as well as rolling calendar of events. Regularly updated social media for the venue supplements hirers’ own marketing activity for which they will be responsible. Hire rates: Please contact us for 2018 hire rates. Venue branding by The Complete Design Co.